Nursing fields currently have a 2 percent unemployment rate. 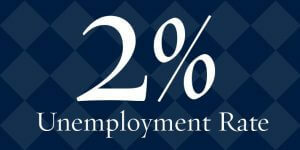 The Bureau of Labor Statistics projects a 26 percent growth in jobs between 2010 and 2020. U.S. News and World Report ranked nursing as the second best job in 2013. Learn more about a career in this field at Monmouth. Monmouth also offers master’s programs in nursing and physician assistant, as well as a Doctor of Nursing Practice. Known as a leader in educating health professionals, the Marjorie K. Unterberg School of Nursing and Health Studies provides access to the best hands-on experiences and educational and technological resources to its students. 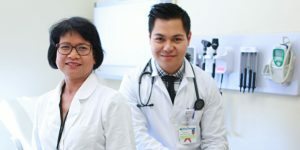 Whether it’s using a BSN or MSN to provide patient care at a hospital or care facility, making patient care decisions autonomously as a physician assistant, working for a nonprofit, or pursuing a master’s or doctoral program, we will help you explore and discover the ever-changing world of healthcare. With one of the few nursing schools in New Jersey to be recognized by U.S. News & World Report, specialized offerings in areas like nursing administration and forensic nursing, and health and physical education programs that take a practical, personal approach, Monmouth is ideal for students with an interest in the diverse and expanding healthcare fields. The Marjorie K. Unterberg School of Nursing and Health Studies will prepare you for lifelong learning, which may include an advanced degree. At Monmouth, further your education by pursuing a Master of Science in Nursing or a Master of Science in Physician Assistant, or our Doctor of Nursing Practice. Many other Monmouth undergraduate nursing students have moved on to top graduate and PhD programs at institutions such as Boston College, Columbia University, Oregon State University, and others, to pursue careers in nursing, public health, education, physician assistant, physical therapy, hospital and healthcare administration, dentistry, and more.